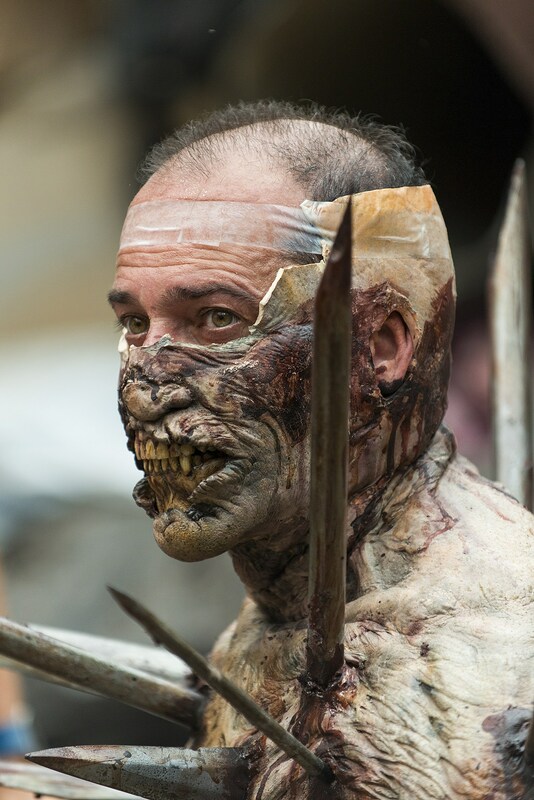 Whether or not The Walking Dead has begun to show its age, the makeup and VFX crew only have more fun with their undead designs as time wears on. 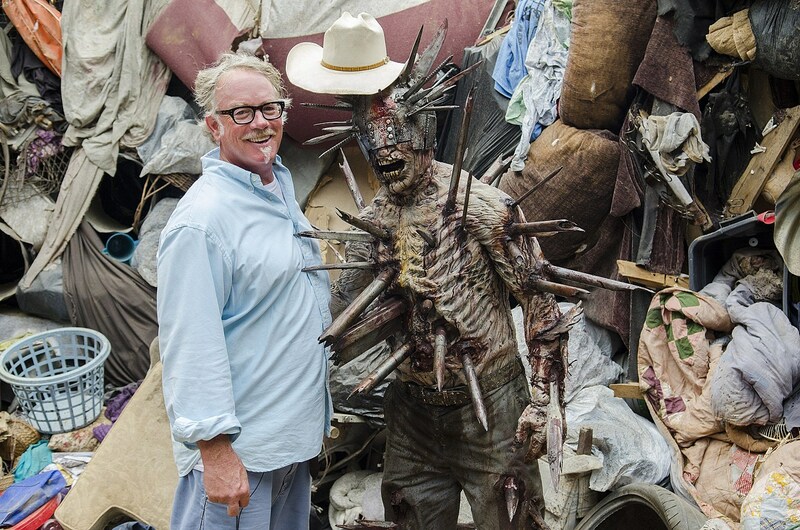 Case in point, the spiked “Winslow” walker from Sunday’s “New Best Friends” marked a new visual benchmark for The Walking Dead, one which producer and gore guru Greg Nicotero shares new behind-the-scenes art and photos. Rick obviously snuffed out any chance of seeing poor Winslow again, but we’ll surely see more of the “Heapster” aesthetic when Rick and co. bring their offering of guns to Jadis. 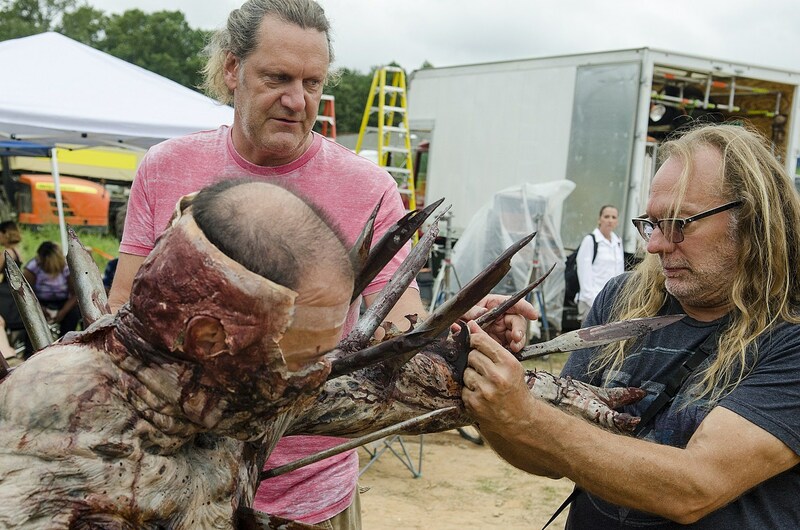 In the meantime, how next might The Walking Dead FX crew top their latest creation?